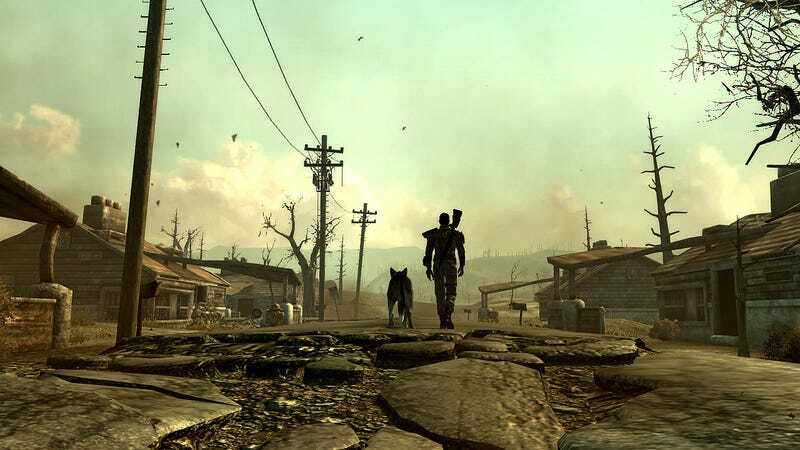 A casual playthrough of a Fallout game can take dozens or even hundreds of hours of wandering through wide wastelands. This new speedrun completes the entire series in under an hour and a half. The “Any% Main Series,” carried out by the dubiously named speedrunner tomatoanus, completes all five main titles in the Fallout series—Fallout, Fallout 2, Fallout 3, Fallout: New Vegas, and Fallout 4. Using a combination of glitches and smart pathfinding, tomatoanus completes the entire run in 1 hour, 29 minutes, and 17 seconds. Some games go down easier than others. In Fallout 2 and 3, it only takes around 15 minutes to reach the ending. Fallout takes about five minutes. The structure of Fallout games makes it easy to travel to endgame locations right from the start, so long as you know where you’re going. Tomatoanus’ Fallout run lasts a little over five minutes, as he’s able to beeline straight to the Mariposa Military Base where the game’s super mutant villains lurk. From there, he quickly arms a bomb and escapes the base to complete the game. In other games, he uses glitches to move faster. The Fallout 3 and New Vegas runs use a strange trick where a runner cripples their character’s legs to move faster. By saving and loading at the moment they damage their legs, runners can manipulate the game into stacking what would have been a 60% reduction in movement speed with their actual movement speed. The resulting error allows tomatoanus to move at 160% speed instead. Combining that with a save-and-load trick that allows him to move out of bounds, tomatoanus mixes both fast movement and ethereal void-walking to get to the finish line. The longest game in the run is Fallout 4, a game that I once spent 11 hours streaming without getting close to completion. Tomatoanus completes it in 42 minutes and 54 seconds, which is proof that while war never changes, you can at least hit the fast forward button.